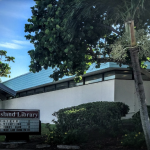 Being on Anna Maria Island you can enjoy all the free sunshine on the beach but you might like to explore the area as well. 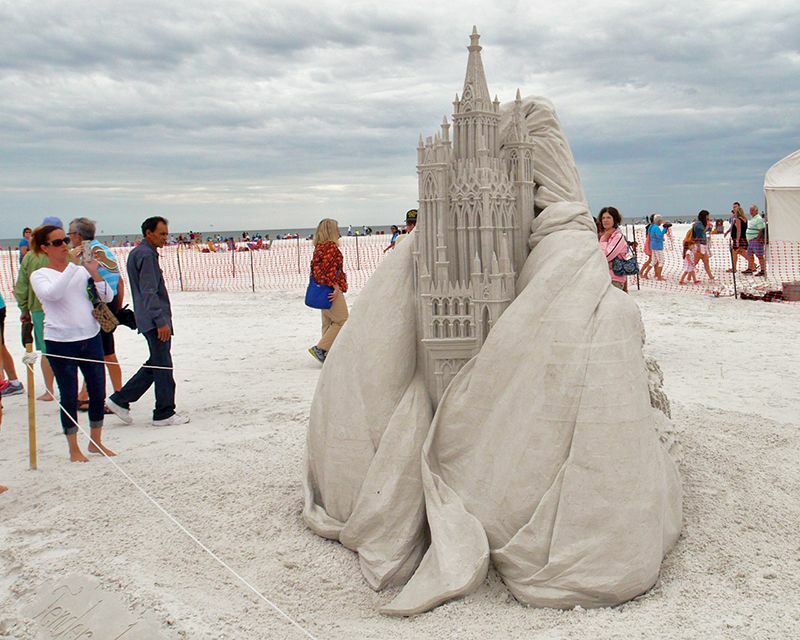 Here are some ideas for the entire week for your Anna Maria Island entertainment on a budget. 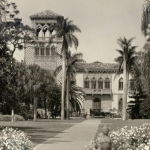 Free admission to the Museum of Art exhibits and the grounds. The 20 acre estate was purchased 2011 by the famous circus owner and his wife. They built an opulent house on the bay “Ca’ d’Zan” or “House of John” in the Venetian dialect and surrounded it by beautiful gardens. Their love for Italy and the arts is displayed in their vast collection housed in a 21-gallery museum including paintings by Rubens and a replica of Michelangelos’s David. The circus museum, Ca’ d’Zan and other exhibits require a ticket. 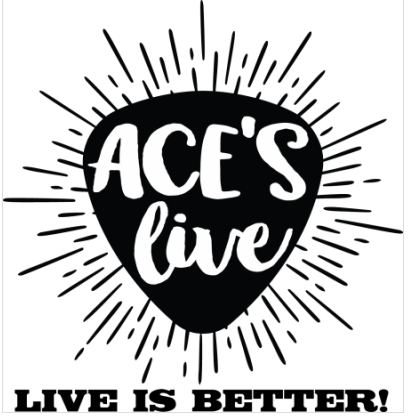 Live music is better and free is best! 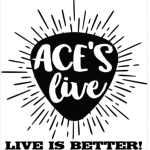 Check out “Ace’s” on Cortez Rd just a short drive over the Cortez Bridge. This local favorite is hosting live music almost every day of the week. There is usually only a cover charge on the weekends. Click here for the weekly schedule. Free admission. 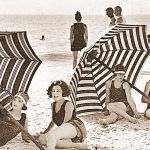 Learn about the island history and how it started as Indian fishing camp, the first homesteader in 1893, the Island’s roaring twenties culture and the early Pittsburgh Pirates spring training days. 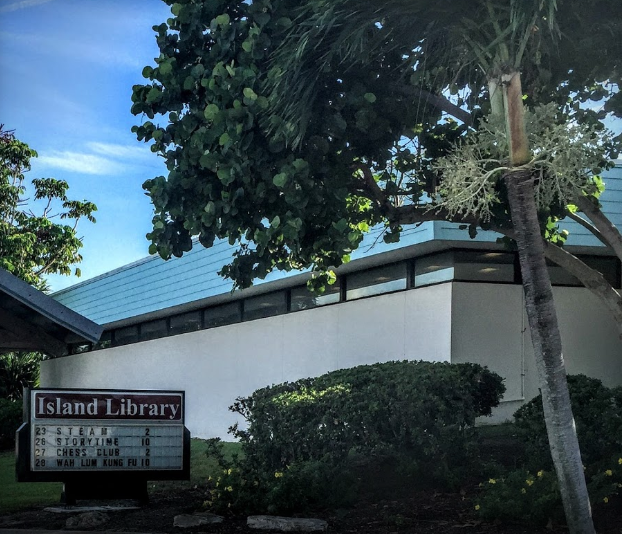 The complex features the main building that used to be an ice house, the original City Jail, the Belle Haven cottage that once was located on the City Pier and a garden of plants native to Anna Maria Island. There is also a scavenger hunt for kids. Open Monday-Friday 10 am – 1 pm. Free admission. You cannot miss the museum traveling on US 41 South of the airport. Just look for the grand pink flamingos! A growing collection of artwork by mostly living artists shows paintings, sculptures and stained glass. 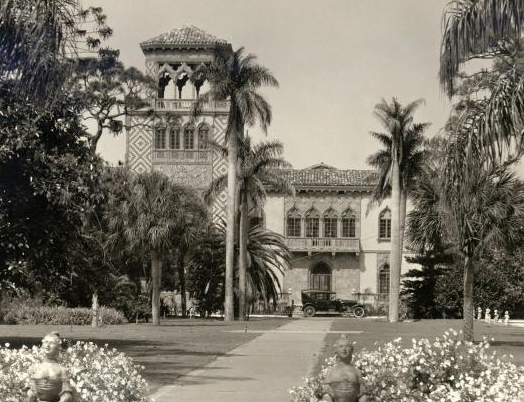 Stroll through the oak grove sprinkled with art pieces, cascading orchids and other tropical plants. Open November – May. Thursday-Saturday 1- 4pm. $5 donation suggested. 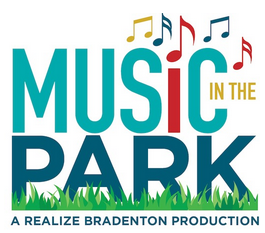 Free concert at 400-seat Mosaic Amphitheater on the Bradenton Riverwalk. Enjoy the Manatee River at sunset as backdrop for this live music event. 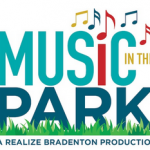 The Music in the Park series is every Friday night during March and April from 6-8 pm. Click here for the complete schedule. Free varying events throughout the year. Learn Mahjong, Origami or CPR training. Click here for the event schedule. Ride the free trolley that stops every 20 minutes at the stop on Gulf Drive right next to the library. 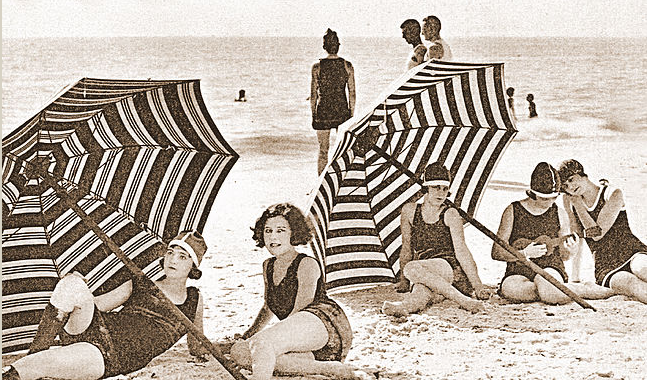 Free Event on the Siesta Key Public Beach by the main pavilion. 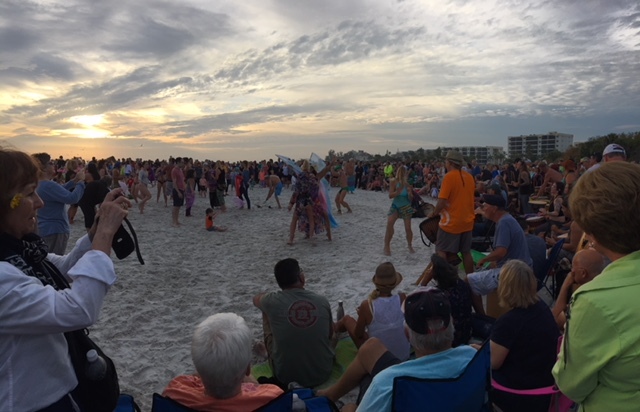 Join the free-flowing fun, dance or just listen to the weekly sunset drumming celebration. 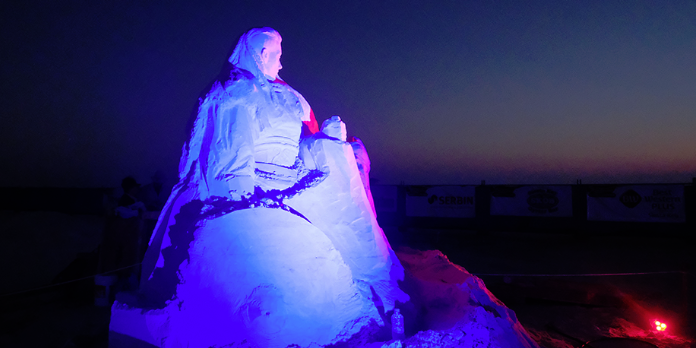 It starts about one hour before sunset and has become a local phenomenon. 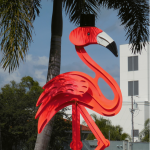 For more ideas for Anna Maria Island Entertainment please stop by at our Duncan Real Estate office on historic Pine Ave. We have lots of flyers and brochures of local vendors. Our local team can provide you with more tips or just call us at 941 779 0304. 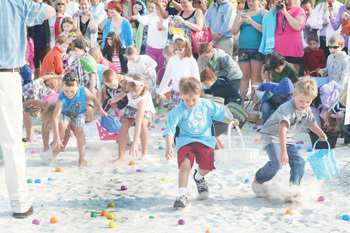 Busy Bunnies on Anna Maria Island Easter! 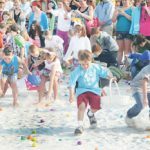 Anna Maria Island Easter Tradition will continue on Anna Maria Island this week Saturday, March 31 beginning at 8:30 at the Sandbar Restaurant at 100 Spring Ave, Anna Maria. The restaurant will serve breakfast-type refreshments for children 10 and under and the egg hunt on the beach will begin at 9 AM! Next, the Easter Bunny will lead a parade to Pine Ave, where the contests and games will take place – bonnet contest, easter egg roll, face painting, games and coloring! Photos with the Easter Bunny will be taken by Dara Caudill and music will be provided by DJ Chuck Caudill! Thank you to the Sandbar and Hometown Desserts for providing refreshments and treats on Pine Avenue! The easter egg roll will be 9:30-11 AM with the bonnet contests judging at 10:30 AM. 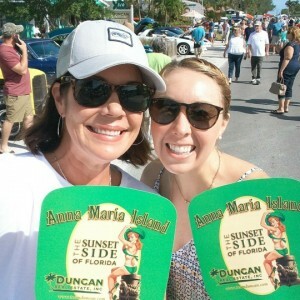 Make sure to pop into Duncan Real Estate when you head down Pine Ave. We have goodies to hand out to the little bunnies for Anna Maria Island Easter. 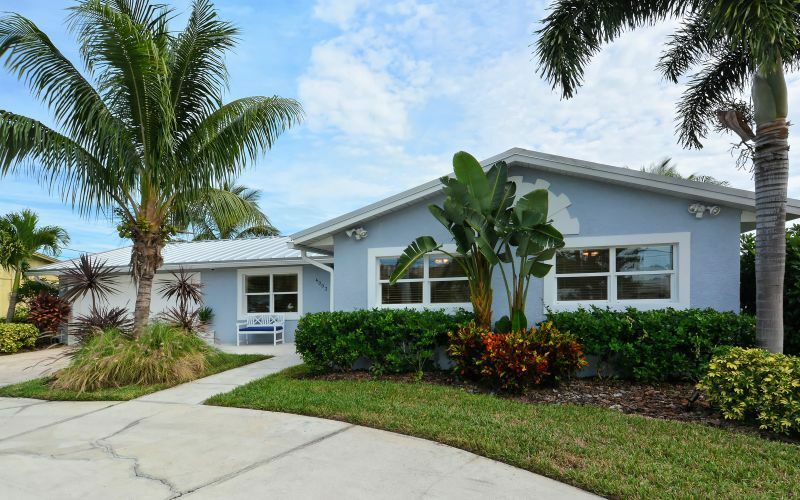 For further information, please call the Sandbar at 941-778-0444 or Duncan Real Estate at 941-779-0304 or send us a quick message here. St Paddy’s Day Parade on Anna Maria Island! You will not want to miss out on the St Paddy’s Day Parade on Anna Maria Island. The date is set – Sunday, March 18th beginning at 4:00 PM. The parade will assemble in the Eat Here parking lot at Marina and Gulf Drives starting at about 2 and then travel north on Marina and Palm Drives, ending at 78th Street. Years ago Sean Murphy loaded up his kids and neighborhood friends into an old green lawn trailer and carrying a parade permit and blasting music from a boom box, drove down the middle of Gulf Drive to the amusement of bystanders and vacationers! 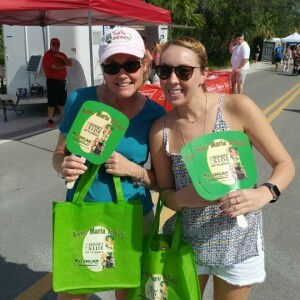 This was the 1st annual Anna Maria Island St Paddy’s Day Parade, according to Murphy, the owner of three Holmes Beach establishments – Beach Bistro, Eat Here and the Doctor’s Office. A few years later, the parade had grown to include bands and floats and to attract thousands of paradegoers! Murphy invited everyone to “get with the St Pat Spirit” and join the parade – it is free to stroll with the bag pipers, pirates, leprechauns, marching bands and community groups. 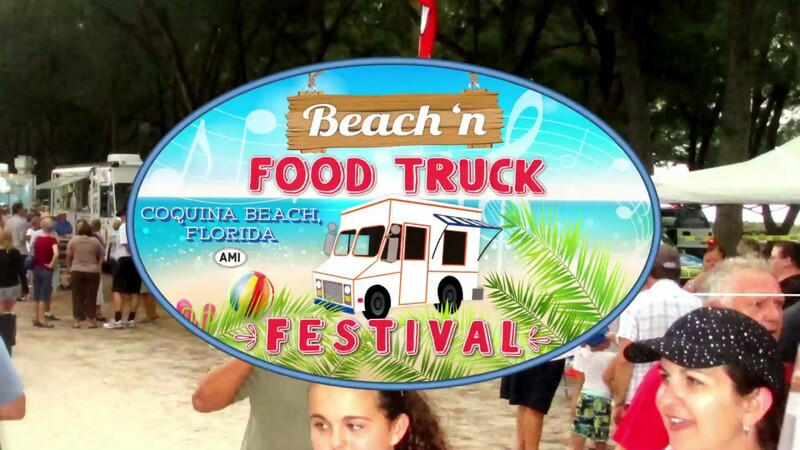 If you want to join in the parade fun as a participant, please call the Beach Bistro at 941-778-6444. Duncan Real Estate has been in the parade for many years. This year, we decided to enjoy the parade from the streets and holler at all the floats and friends! We hope to see you all there too!!! Monday Blues Hit Extra Hard This Week! Early Monday morning, Anna Maria Island and the surrounding areas were hit by unannounced Tropical Storm Emily. 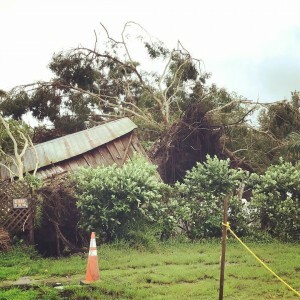 She came in with a vengenze causing areas to flood, trees became uprooted and even a tornado touched down in NW Bradenton. Thankfully, we have not heard of anyone getting hurt during the storm but sad to say that some of our local businesses really got the brunt of it. Our maintenance team has been disbatched to many of our vacation rental properties to make sure all is okay. The only semi-major report that came in was a tree that broke off and landed on the next door neighbor’s car of one of our rentals. With a quick response, Team Duncan took care of this small issue. We were also glad to see that the streets of Anna Maria were not as flooded as they can be. Nothing like starting the week off with a Tropical Storm! Hope that this is the only one that we have to deal with – if we can even be so lucky! Bradenton-Sarasota area named #1 in US for well being! It is always so exciting to read something about the area that you live in! Especially, when it is in another county’s paper – how wonderful is that! Bradenton-Sarasota area was named #1 in the US for well being. 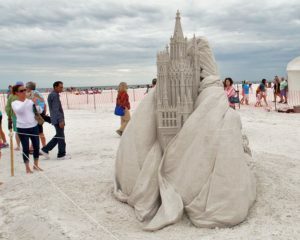 Read the article and to see the Anna Maria City Pier featured as the photo for the article. Team Duncan would love to help you and your family enjoy this area that is ranked #1 for well being. I 100% agree with the research – I like what I do, I have supportive relationships, and I am very proud of our community. Don’t miss out on living in the Sarasota-Bradenton area and don’t miss out on having the best real estate company help you! Just a reminder – we were voted #1 Real Estate company on the island!!! Bayfest 2016 is right around the corner! The month of October is always so much fun and my favorite event is the Anna Maria Island Chamber’s Bayfest right here on Pine Ave! 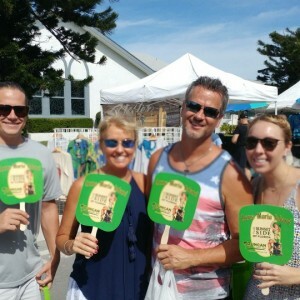 Bayfest has live music, classic car show, food, adult beverages, kids zone, arts and crafts and so much more! PLUS the event is FREE! Why wouldn’t you plan to come to Bayfest!?! So mark your calendars for Saturday, October 15th from 10 AM to 10PM! I will be out there passing out Duncan Real Estate fans to keep you cool during the event! CLICK here for more information about Bayfest 2016! Featured Property of the week! Southern Comfort! 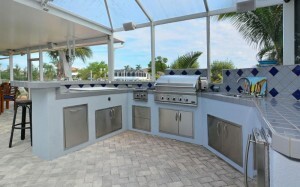 Southern Comfort is a spectacular home in San Remo Shores, only 1 mile to the beach. This home has been remodeled with 3 bedroom and 2 baths. The master bedroom has a queen size bed with flat screen TV and ensuite bathroom. The guest bedroom has queen size bed with flat screen and the third bedroom has twin beds with a flat screen. 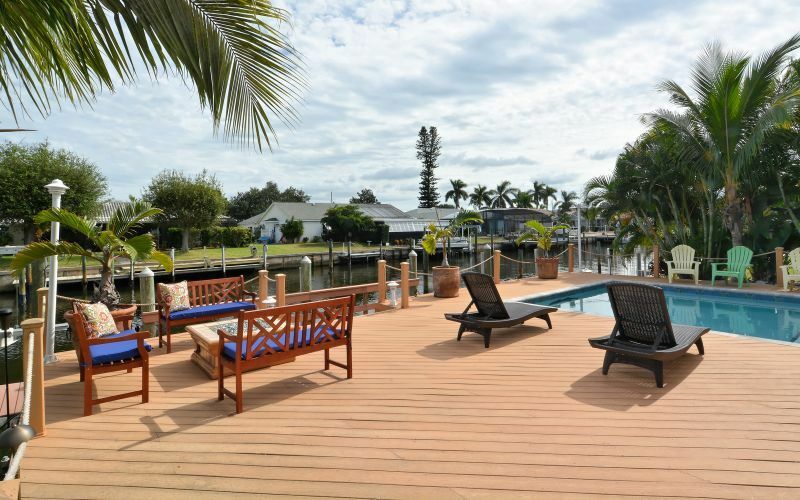 Southern Comfort has an amazing outdoor space, right on a canal with a dock, in-ground pool and a fabulous outdoor kitchen, complete with a gas grill and Japanese flat top grill. Lounge by the pool or enjoy a relaxing evening on the covered lanai. 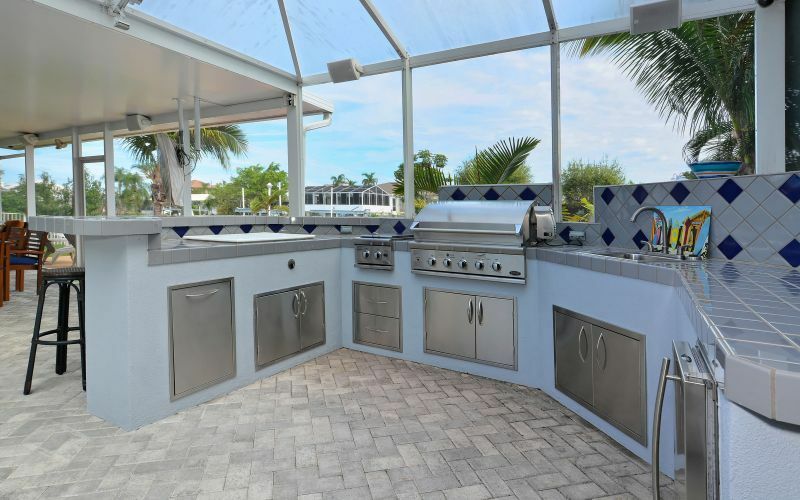 This home comes complete with everything you would need for a great vacation, a well equipped kitchen would please any gourmet chef. And if you are a pet lover, Southern Comfort is pet friendly! If I rented this home for vacation, I don’t think I would ever leave the outside area! I can just see myself lounging by the pool and enjoy watching the boats go by! Give any of my friends at Duncan Real Estate a call to book this property! 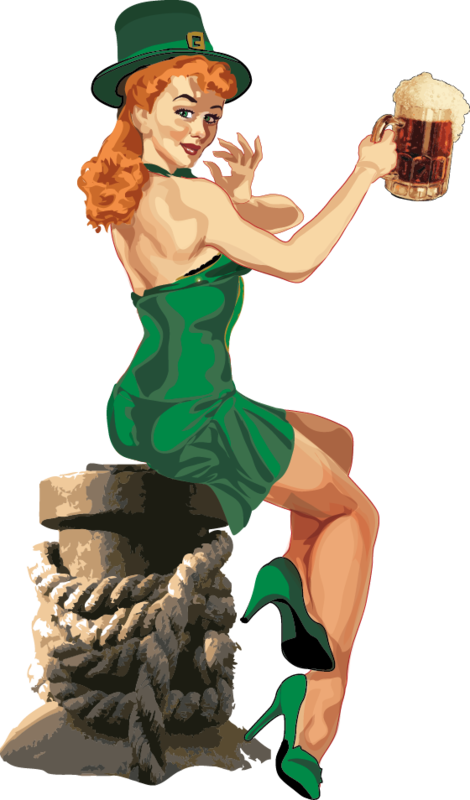 Click here for more info on Southern Comfort!